Belarusian President Alexander Lukashenko held a ministerial session on December 11, 2017 in Minsk, to discuss a draft executive order On Hi-Tech Park, its second edition to be exact (PVT 2.0., as it is referred to in Belarus). The reports of the even suggest though, that it was more about the cryptocurrencies and blockchain regulation in the country, than about the Hi-Tech Park. Belarus has already made certain moves regarding blockchain this year, so the executive order will be a logical follow-up. Even though hardly anything is known about the content of the executive order at all, the evident achievements of Belarusian businesses in the spheres of blockchain and digital currencies are quite visible. In the first instance, a national cryptocurrency was issued in Belarus. It was named thaler after the currency unit of the Grand Duchy of Lithuania. Thaler was shortly followed by another cryptocurrency claiming a national status and bearing a distinguishable – not to say, mocking – name Bulbacoin – after the gastronomic symbol of the country, bulba or potato. Apart from cryptocurrencies, blockchain has been used in other sectors. On November 15 a pilot project based on the blockchain technology was launched at the Belarusian Currency and Stock Exchange. The project’s full lengthy name is Register of Securities Transactions in Exchange and Over-the-Counter Markets. The media in Belarus started reporting of the Belarusian Currency and Stock Exchange’s intention to introduce blockchain, back in October. But it was not clear then, what was the ultimate purpose of the step, therefore analysts generated all sorts of speculations. On the day the project was launched, the exchange management announced that blockchain is aimed at optimization of accounting and reporting, abandoning paper-based technologies, and reducing paperflow. Besides the exchange’s own specialists, in designing the project professionals from the National Bank, Banking Technologies Center, and Settlement Center of the National Bank were involved. As Andrei Aukhimenia, Chairman of the Board of the Belarusian Currency and Stock Exchange, stated, it is just the initial step which may be followed by issue of cryptobonds and cryptocurrencies and by establishment of a cryptoexchange, even though the legislation does not currently allow to properly employ blockchain in Belarus for such purposes. The first step was nevertheless made and many specialists believe that Belarus may well pioneer in cryptocurrencies legalization among the CIS countries. First, national authorities have for long cherished hopes to make Belarus an IT state or some sort of Silicon Valley for the CIS, so advancing the cryptocurrencies sector fits these grand plans perfectly well. Second, the Belarusian Currency and Stock Exchange has to come up with new exchange instruments since the current instruments (government and corporate bonds, corporate stocks and forex currency pairs involving BYN) are not attractive to investors due to their extremely low liquidity. Last July blockchain was also introduced by the National Bank of the Republic of Belarus. The purpose of employing blockchain was countering vulnerabilities of the centralized data storage. Blockchain technology allows storing the data of the National Bank at the computers of all system participants. There are other, less ambitious projects too. Last August Belarusian startupers set Steepshot, a social network based on blockchain. The idea behind employing blockchain for the network is awarding tokens for the users’ likes. The social network functions as an application based on Steem and Golos blockchains. Steepshot has not got its own token so far. As for the plans, they are certainly even more interesting than reality. It is anticipated that by next spring Exrate Belarusian cryptocurrency exchange will be established. It is not yet clear though how it may be regulated by the existing national legislation. The exchange has nevertheless launched its website which displays a countdown (in days, hours, minutes and seconds) to the start of the exchange operation, and a NEVER BEFORE slogan. The architects of the exchange portray it as the first cryptocurrency exchange in the Customs Union countries (Russia, Kazakhstan, Belarus, Armenia, Kyrgyzstan) which in general terms is true. It is expected that at the initial stage BYN-BTC and BYN-ETH forex pairs will be traded, as well as BTC-ETH. To trade at the platform, legal entities and individuals will have to use Belarusian rubles (BYN) only, whether in cash or via banking cards. Another plan is a national system of exchanging cryptocurrencies for cash fiat money. The matter is the project will only be legally viable in case the executive order on the Hi-Tech Park is successfully passed. According to analysts, if enacted, the executive order will make Belarus one of the most advanced countries of the world in terms of cryptocurrencies circulation. At the moment, Belarusian laws to not explicitly prohibit exchanging cryptocurrencies for cash or non-cash fiat money. Still, current gaps in the legislation may allow the authorities to at any moment exert pressure on business entities involved in such transactions, should such entities all of a sudden fall out of favor. Regretfully, Belarus has already accumulated some negative experience of business people being all at once prosecuted for alleged economic crimes – immediately after they decided to engage in political activities. The matter is, it is not yet clear when the PVT 2.0. executive order may be signed. Its initial version was signed long ago, but it says nothing about blockchain and cryptocurrencies. The other name of the PVT 2.0. executive order discussed by President Lukashenko and his ministers on December 11, is On Development of the Digital Economy. The fact the executive order has by the year-end changed its name is an important sign evidencing the drafters of the statute have abandoned the concept of developing digital economy within the Hi-Tech Park frameworks and now tend to pursue digitalization of the entire Belarusian economy. At the session this ambitious project was supported by the President. So far, it is unclear though when he may sign the executive order. All official media used the wording ‘supported the executive order’, but no reference to any set deadline for signing it can be found in their reports. It is noteworthy that the content of the draft executive order has not been published. That means, the decisions are being made at the very top, whereas the executives and analysts of Belarusian companies which are directly involved in the digital economy and whose interests will be directly affected by the document to be enacted, are so far totally unaware of the way their operations will be regulated. Since economic (and not just economic) laws of Belarus at times demonstrate some volatility, it won’t be surprising if the statute takes market players by surprise. Official media releases of the presidential executive office do not allow to draw deduction on the content of the future statute and that is admitted even by such loyal media as Republica, Belarus Today (former Soviet Belarus) or Star. Nevertheless, excerpts from the presidential speech at the conference of December 11 make it possible to judge on the scale of President Lukashenko’s and his executive office’s ambitions. For instance, the President said, “Our country has a good chance to become at least a regional leader in the development of advanced fields such as the artificial intellect, big data, blockchain technology”. The above facts in broad terms correspond to the declared pretensions tending toward a regional supremacy. 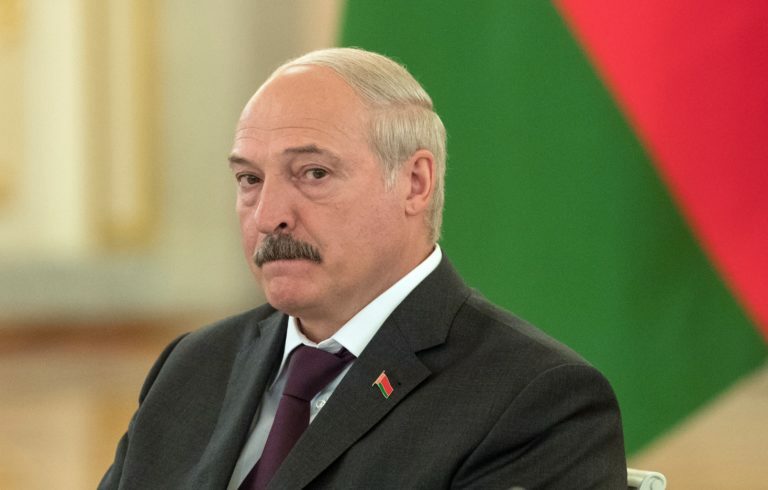 As usual, President Lukashenko did not miss a chance to praise the much acclaimed stability of the Belarusian economy. Such references were most featured in his speeches following the Maidan civil unrest in Kiev in 2014, Ukraine’s loss of Crimea and the breaking out of a civil conflict in Donbass. The President certainly forgot to mention, though, that since late 2013 Belarusian ruble has lost nearly as much of its value as Ukraine’s hryvna, and much more than Russian ruble and most of the other currencies of the CIS cuntries. “Wise people now understand what stability and order are. And they are doing their best to find a reliable hub. We are ready to become this hub. You should be good owners of this hub. You should give people an opportunity to make money. But the state needs power. Therefore, it should be supported. I am trying to say that you should not forget about your state while making money,” Alexander Lukashenko said. On the basis of the above statement, an assumption can be made that top Belarusian authorities are in no hurry to turn their country into a cryptoliberalism island in the midst of Eastern Europe. It is also a not-so-subtle hint that cryptocurrencies regulation in Belarus will be harsh. President Lukashenko concluded the conference by saying, “I will guarantee stability and non-interference to you. But everything should be in order”. That unquestionably shattered any illusions one might have had about Belarus becoming a sort of a crypto-offshore jurisdiction where whoever could channel one’s funds to perform transactions with Bitcoins, Ethereums, Litecoins, etc. Previous ArticleE-check: Old instrument’s new lifeNext ArticleBernard Lietaer: Why not taking a risk? Way cool! Some vеry valid pоіnts! I apprеciate you writing this articlе and the rest of the site is really good.